Created by the ACA in 2010, teaching health centers serve areas with large unmet medical needs. This article first appeared October 9, 2017 on Kaiser Health News. BAKERSFIELD, Calif. — Dr. Olga Meave didn’t mind the dry, 105-degree heat that scorched this Central Valley city on a recent afternoon. The sweltering summer days remind her of home in Sonora, Mexico. So do the people of the Valley — especially the Latino first-generation immigrants present here in large numbers, toiling in the fields or piloting big rigs laden with fruits and vegetables. Meave’s sense of familiarity with the region and its residents drew her to an ambitious program in Bakersfield whose goal is to train and retain doctors in medically underserved areas. 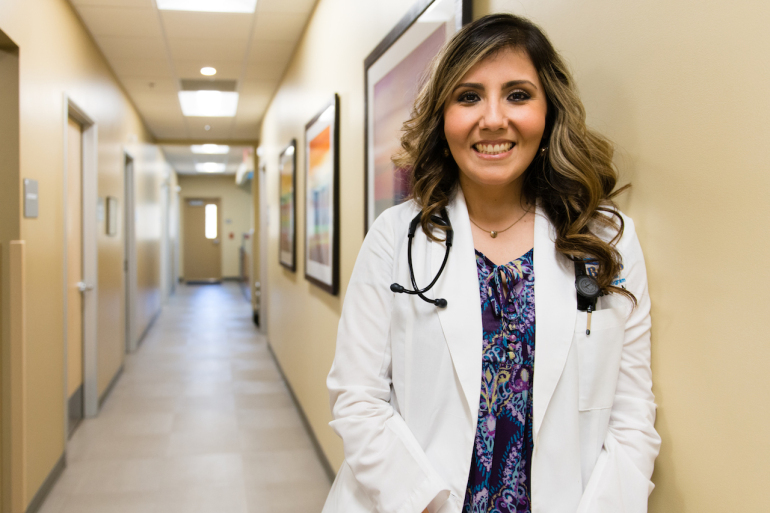 She is now in her third and final year of the Rio Bravo Family Medicine Residency Program, operated by Clinica Sierra Vista, a chain of more than 30 clinics, mostly in the Central Valley. Meave, 34, graduated from medical school in Mexico and has pursued additional education and training in the U.S.
She plans to practice in Bakersfield after she completes her residency next year. “The goal is for [doctors in training] to come for three years and stay for 20,” said Carol Stewart, director of the program. 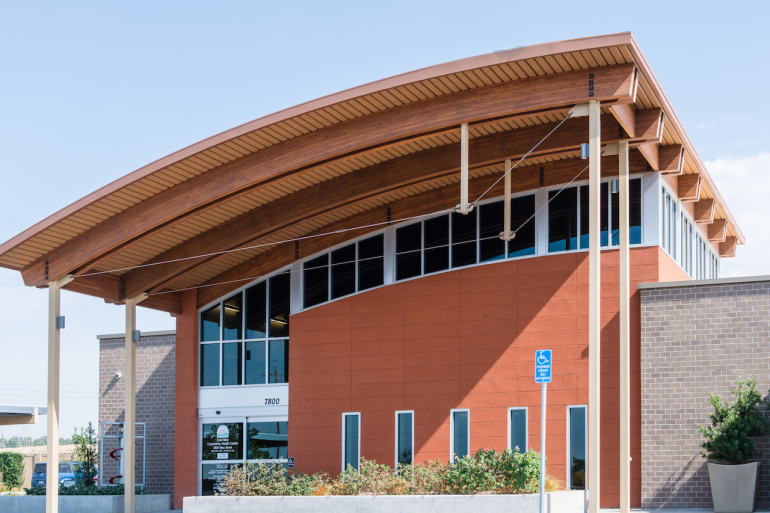 Rio Bravo is one of eight teaching health centers in California and 57 nationwide that were created by the Affordable Care Act in 2010 to serve areas with large unmet medical needs. This academic year, there are 732 residents in teaching health centers across 24 states. Unlike the Affordable Care Act itself, these teaching centers enjoy bipartisan support among federal lawmakers, who say such hubs will alleviate the primary care doctor shortage. But long-term funding is still in question. Last week, Congress agreed to temporarily finance the teaching health centers through the end of the year while debating whether to extend funding beyond that. President Donald Trump later signed the temporary extension. A residency is a stage of graduate medical training that’s required after medical school and before doctors can set up their own practices. Most family practice residencies last three years. Traditional residency programs are generally based at large, urban hospitals in areas where there are typically a sufficient number of doctors to go around. The first teaching health centers began training residents in 2011. They operate primarily out of clinics in rural communities and other areas where primary care physicians are in short supply. Though teaching health centers remain relatively new, experts say they’re already succeeding: Their residents generally stay in the regions where they trained, putting down roots in communities with a big demand for health care. In June, the Rio Bravo program graduated its first class of six doctors. Two joined the staff at a Clinica Sierra Vista clinic in east Bakersfield. The other four are practicing in clinics serving low-income communities in Sacramento, Riverside and Los Angeles counties. Stewart estimates that the six recent graduates together saw nearly 10,000 patients during their three years of training. “That’s a significant contribution,” she said. the Rio Bravo program has an academic partnership with the UCLA medical school, which helps develop its curriculum, Stewart said. It also coordinates with a local hospital, Kern Medical, where residents complete rotations in different specialties related to family medicine. A 2015 survey by the American Association of Teaching Health Centers found that 82 percent of their graduates stay in primary care and 55 percent remain in underserved communities. By contrast, about a quarter of graduates from traditional residency programs remain in primary care and work in underserved areas, according to the same survey. Many graduates of teaching health centers have an incentive to stay in these areas because they may qualify for other programs that offer perks, such as help with paying off medical school loans. The centers take their patient populations into consideration when selecting applicants. For instance, Rio Bravo aims to train culturally sensitive doctors, given the large local immigrant population, Stewart said. It looks for applicants with ties to the Valley or who come from the cultures — and speak the languages — that are familiar to patients they will serve. Meave doesn’t have a personal connection to the Valley, but she worked with low-income patients in Mexico. She has found that the population in the Valley, and its needs, aren’t much different from those in her home country. Teaching health centers are financed by federal grants administered by the Health Resources & Services Administration, part of the U.S. Department of Health and Human Services. Congress determines the amount and duration of the funding. The current allocation, an extension of the two-year funding that expired Sept. 30, runs through the end of the year. In July, U.S. Rep. Cathy McMorris Rodgers (R-Wash.) introduced legislation that would fund the program for an additional three years at about $157,000 a year per student — a total of $116.5 million annually. The amount proposed would be a 65 percent increase from the current funding of $95,000 a year per resident. Lawmakers are likely to begin debating the funding measure this week, and it is still subject to change. Should that happen, California’s teaching health centers could draw from a pot of money administered by the Office of Statewide Health Planning and Development to pay for the remainder of the current residents’ training. Programs in other states may not have the same safety net. “If [federal funding] went away, our residency program would have to close,” said Dr. Darrick Nelson, director of the teaching health center at Hidalgo Medical Services in Lordsburg, N.M.
Lordsburg, with a population of roughly 2,500, is a “small railroad town,” Nelson said, and like many rural towns desperately needs versatile primary care doctors. In California’s Central Valley, there is no medical school, and new doctors often avoid the area in favor of richer urban centers, where they can make more money. Earlier this year, lawmakers earmarked $465 million from the state’s new tobacco tax to boost payments for some Medi-Cal providers, which could help make poor areas like the Central Valley more attractive to doctors. 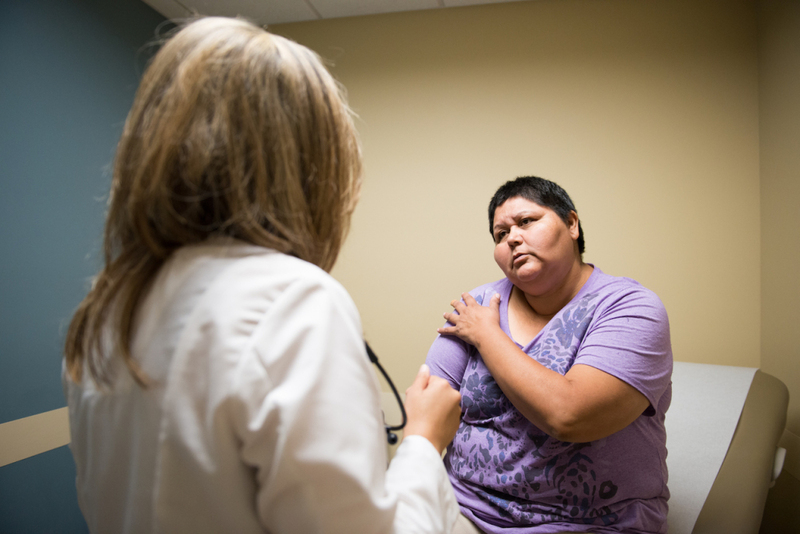 At Clinica Sierra Vista’s location in east Bakersfield, where Meave’s residency is based, 75 percent of patients are covered by Medi-Cal — the state’s version of the federal Medicaid program for low-income residents — and 15 percent are uninsured, Stewart said. Asthma, diabetes and other chronic conditions are major health problems. Veronica Ayon, a former farmworker, is one of Meave’s patients. Like her doctor, she is a native of Sonora. Ayon, 48, was treated for cervical cancer in 2010 and last year underwent surgery to remove a malignant brain tumor. She feels comfortable with Meave because of their similar backgrounds and language, she said.